The Burlington County Bridge Commission approved a toll hike for two major bridges during a vote Wednesday night, NBC Philadelphia reports. Drivers will now have to pay $4 when using cash or $3 if using an EZ Pass when crossing the Tacony-Palmyra and Burlington-Bristol bridges, a jump from the previous $2 fare. The increases are expected to go into effect September 15. The commission announced the proposed toll hikes earlier this month, holding public hearings on the potential increases on Tuesday and Wednesday. During those hearings, several residents from both Pennsylvania and New Jersey -- the states which both bridges connect -- argued the added burden on commuters, while officials said operating costs for the bridges exceeded revenue, according to the Burlington County Times. 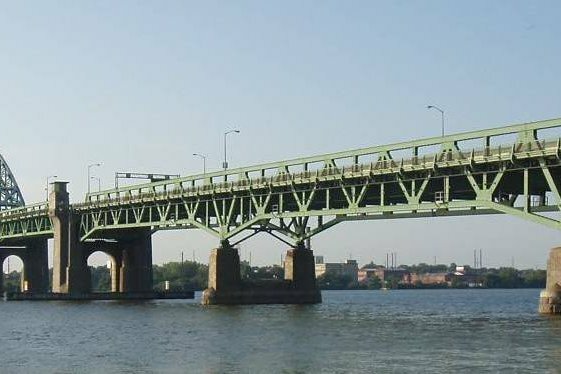 The commission says the funds gathered from the extra toll revenue will be used to pay for $110 million in projects to improve the bridges, including replacing the existing roadway on the Burlington-Bristol Bridge and the addition of a motorized platform under the Tacony-Palmyra Bridge to be used for maintenance and inspections.